This is an important message of truth from Doug Ducote Sr. on a number of topics. With respect to black babies, you may have heard the shocking history related by Thomas Williams last night about the real aboriginal people in America and what happened to them—and apparently continues to happen. Which way will it go? We’ll soon find out. *Breaking News* Nuclear Option Is Needed Now! 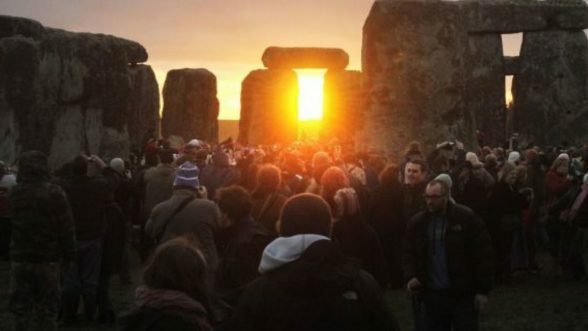 If you would like to celebrate the Solstice today, there are meditations to usher in the energies of this key alignment. Can you feel the LOVE streaming in from the GALACTIC CENTRAL SUN today? In just a few short hours…. …we will experience the exact moment of the December Solstice…..
See more at Prepare for Change. This entry was posted in Uncategorized and tagged Barcelona, black babies, blocked highway, border, cabal, civil unrest, Democrats, energies, funding, Government shutdown, ICE, illegal aliens, love, meditations, migrants, national security, nuclear option, Planned parenthood, President Trump, solstice, Spain, Starship Earth, wall. Bookmark the permalink.